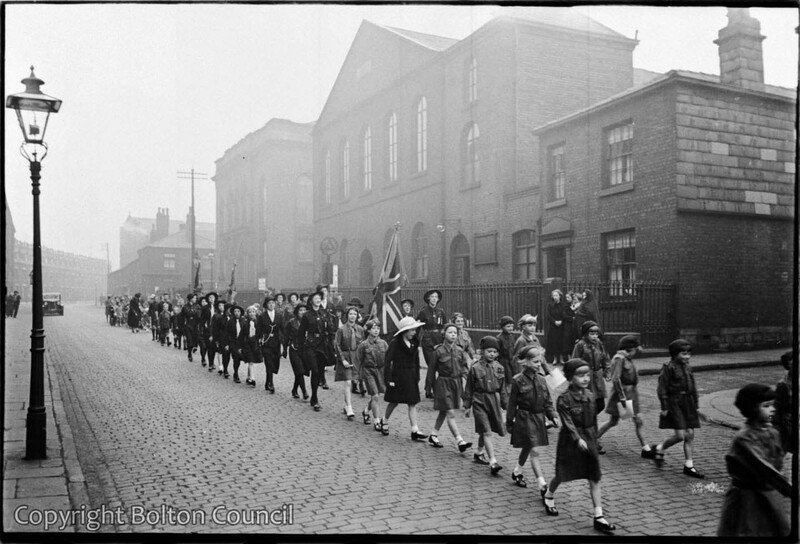 Guides and Brownies take part in a procession from the Methodist Church on Fletcher Street. The church visible to the left has been demolished and the Sunday School building (with pitched roof in the centre back) is now the House of Rajas department store (2012). I used to live in the row of houses on the right, just opposite and a bit further down from where the car is parked. I think it it was “next door but one” to Fletcher St. Barracks.